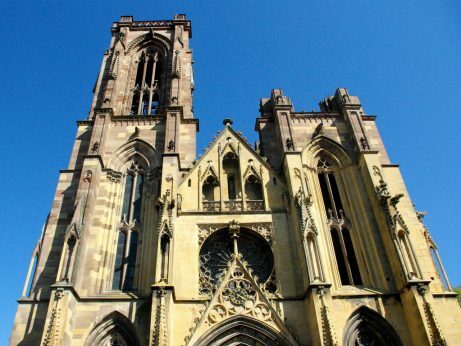 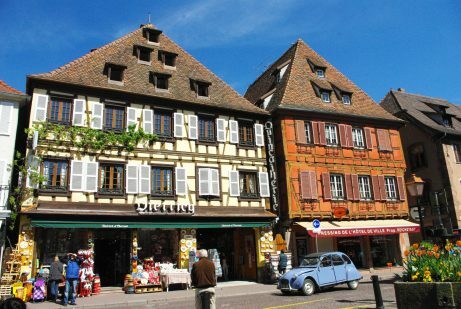 How many people visiting Paris and France know about Alsace in the north-east of France? 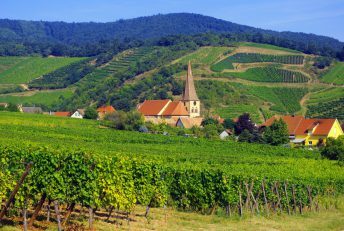 It boasts some great vineyards which make excellent wines such as Riesling, Gewurztraminer and Sylvaner. 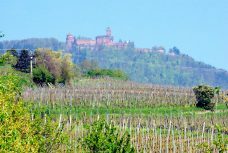 In the 1950s a scenic route was created to link all the wine-growing villages. 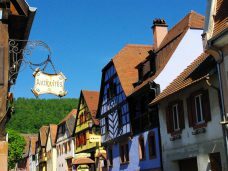 We’ve created this ultimate Alsace Wine Route itinerary to allow first-time travellers to explore the Alsace vineyards and discover its top sites and villages. 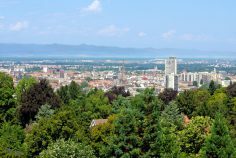 The road trip we’ve designed is 250 kilometre-long (155 miles) and takes about two weeks to complete. 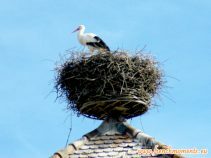 If you don’t have that long then feel free to shorten it or take a few places out. 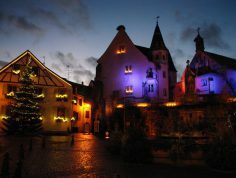 Whatever you decide this promises to be a memorable trip! 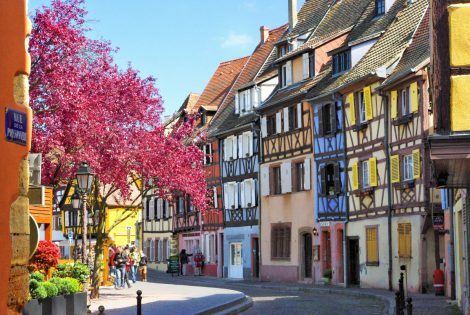 If you intend to visit Alsace for the first time, this itinerary should make your life easier. 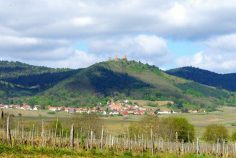 The vineyards of Alsace are a beautiful place to visit all-year round. 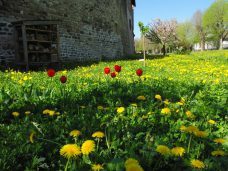 It is mostly overcrowded in Summer so we recommend May/June or September/October when you miss the busiest months but still get nice weather. 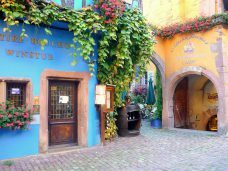 Alsace wine tours are available with lots of creative ways to explore selected vineyards, whether on foot, by bike or even Segway! 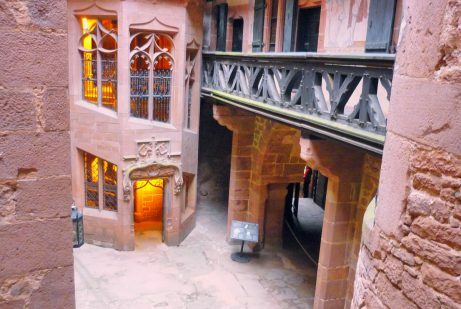 If you fancy something extra special (and don’t mind heights!) 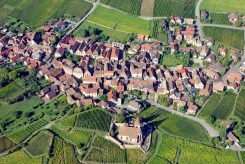 then we would definitely recommend the hot air balloon ride that Wine Paths features amongst one of its carefully selected tours. 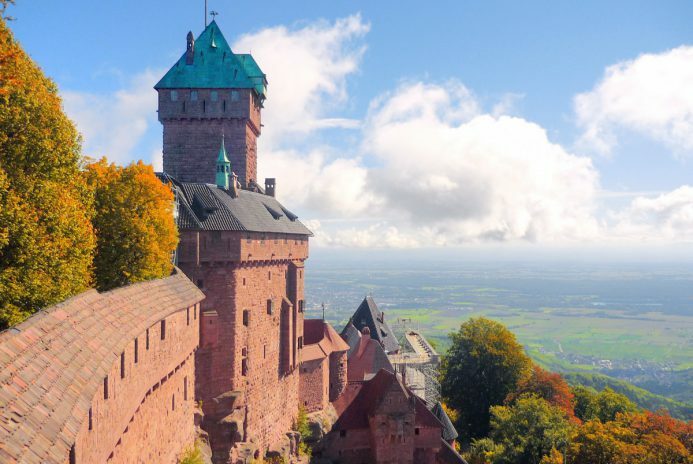 Soak up unforgettable views as you glide over the Vosges mountains and the plain of Alsace and finish up with a glass of Cremant and a late breakfast or light lunch on landing. 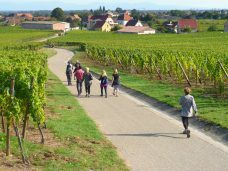 Wine Paths have carefully selected high quality wine tours and related activities in beautiful vineyards and wine producing areas all across France. 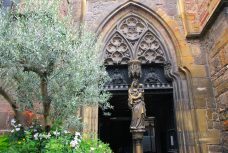 Read more on their website. 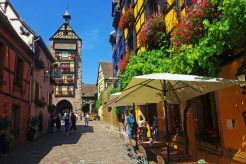 The Alsace Wine Route Itinerary: here comes the road trip! 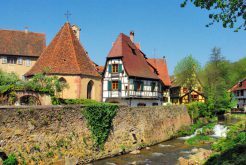 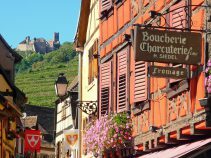 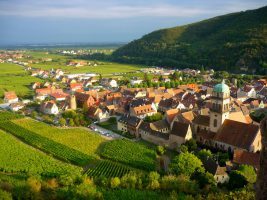 This Alsace Wine Route itinerary is divided into 10 stages from Strasbourg to Mulhouse where you can plan your overnight stays. 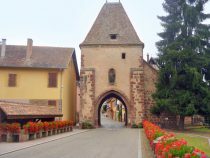 From Strasbourg, take the direction to Saverne and reach the North Gate of the Alsace Wine Route at Marlenheim. 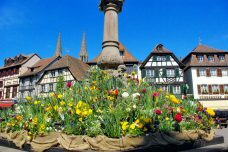 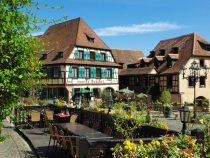 Visit the village of Wangen and continue southwards to Molsheim. 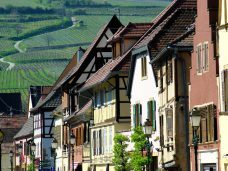 Visit the town and head to Rosheim. 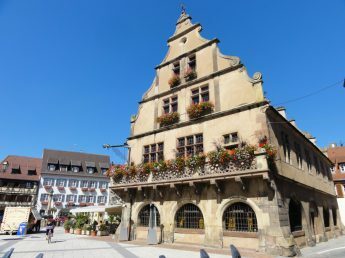 Explore the little town and head to Obernai. 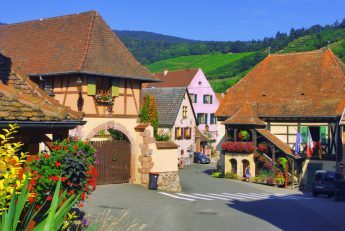 After visiting Obernai, reach the picturesque village of Bœrsch and climb up the Mont Sainte-Odile to marvel at the view. 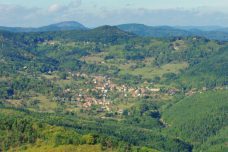 Go down to the plain and stop at the village of Barr. 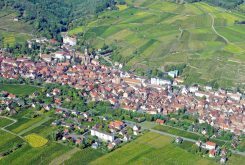 The next village is Andlau, famous for its two ruined castles: Spesbourg and Haut-Andlau. 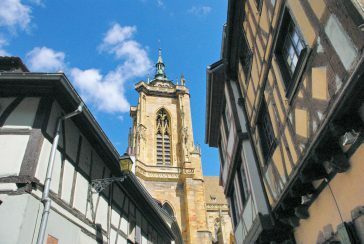 Make a stop at Dambach-la-Ville. 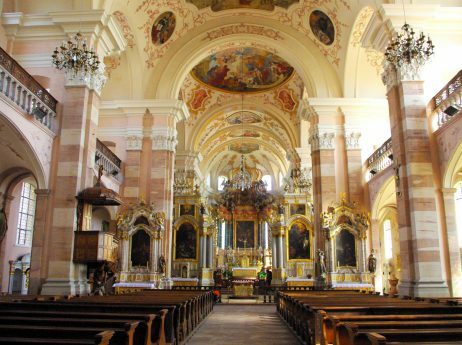 If you have time, enter the magnificent Baroque church of Ebersmunster before heading to Sélestat. 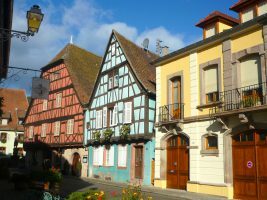 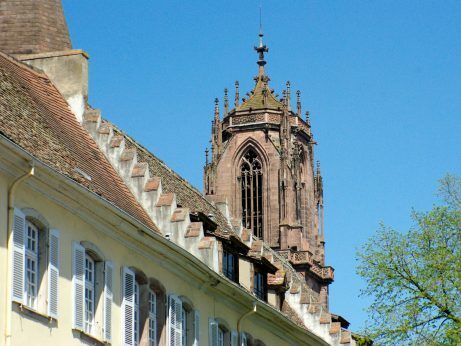 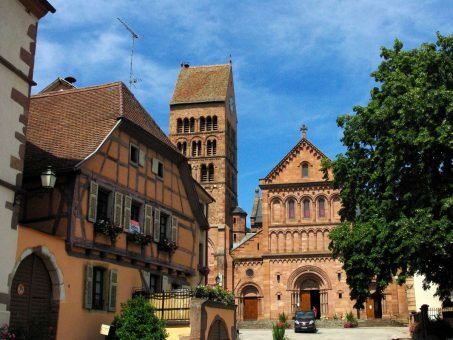 Visit the historic town centre of Sélestat and reach the Wine Route at Châtenois. 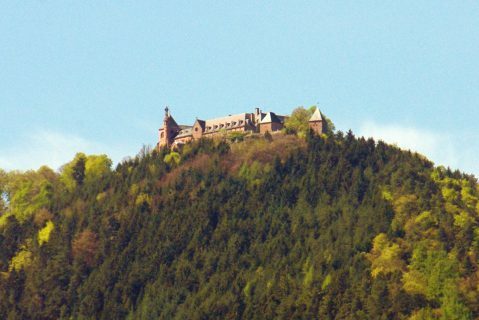 In Kintzheim you can find two popular wildlife parks: the Montagne des Singes with 200 Barbary macaques roaming around and the Volerie des Aigles (Eagle park) where birds of prey fly free. 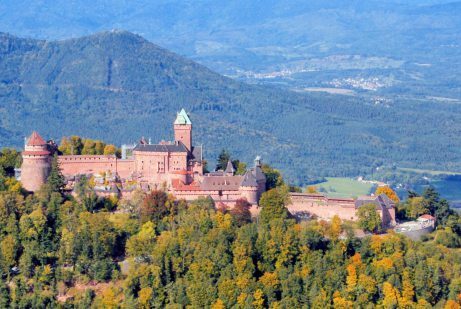 Climb up to the formidable Haut-Kœnigsbourg castle which was restored by Kaiser Wilhelm II at the beginning of the 20th century. 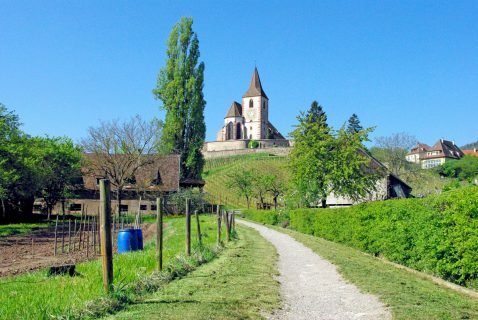 Drive back to Bergheim via the mountain village of Thannenkirch. 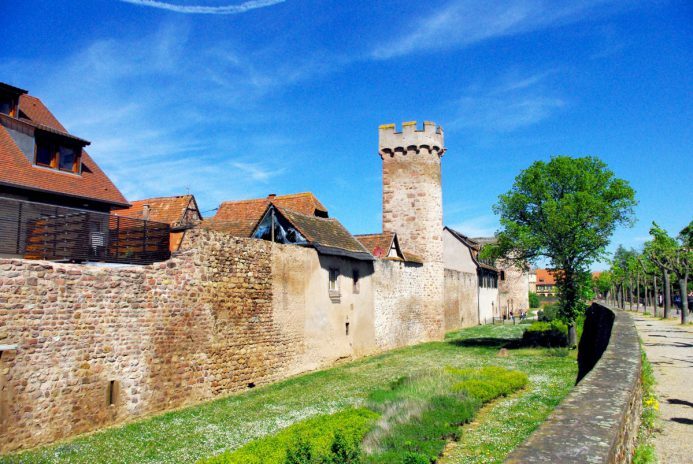 Visit the walled town of Bergheim before reaching Ribeauvillé. 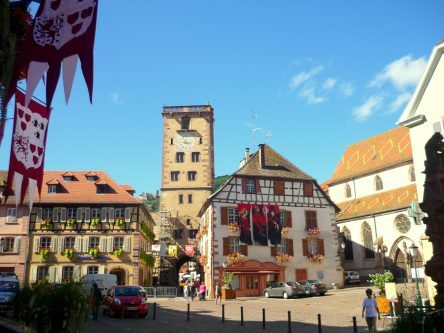 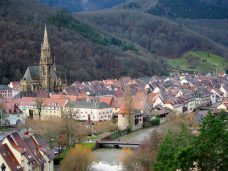 You can easily spend a whole day in Ribeauvillé to visit the old town and climb to the three ruined castles of St Ulrich, Girsberg and Haut-Ribeaupierre. 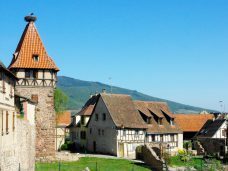 If you have time, visit the fortified church of the nearby village of Hunawihr. 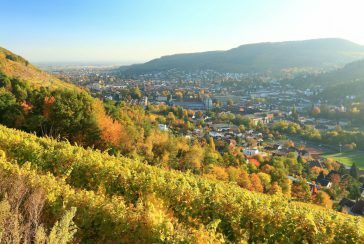 If you take extra days to explore the region of Ribeauvillé, discover the quieter villages of Zellenberg and Beblenheim. 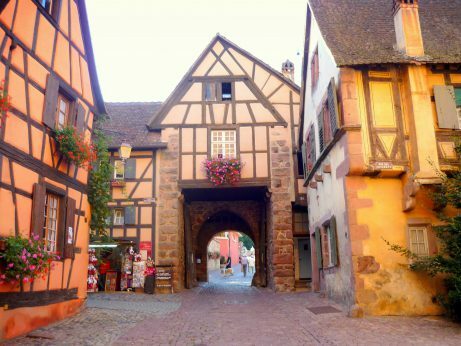 Follow the Wine Route to Riquewihr, one of France’s most beautiful villages. 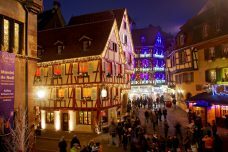 Don’t miss the famous Christmas Shop “La Féerie de Noël”. 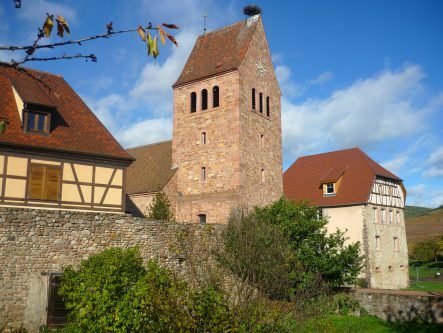 Then reach Kaysersberg via the fortified village of Kientzheim. 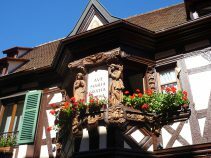 If you fancy a gastronomic meal then Le Chambard serves wonderful food in its Michelin starred “64° Le Restaurant”. From Kaysersberg, take the D415 road in the direction of Colmar and turn right at Ingersheim on the D11II road. 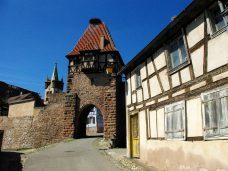 It will lead you to Niedermorschwihr. 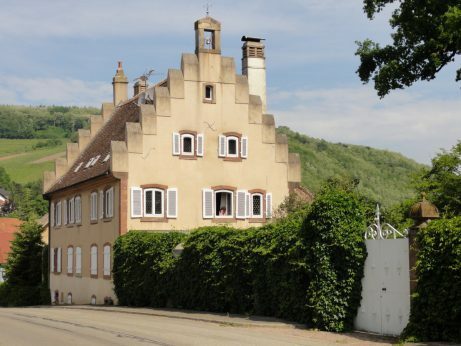 From there, reach the historic town of Turckheim. 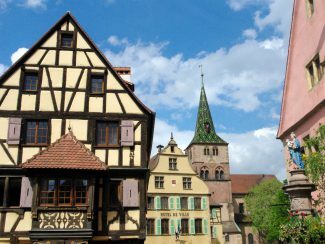 The city centre of Colmar is less than 6 km (3,75 miles) away. 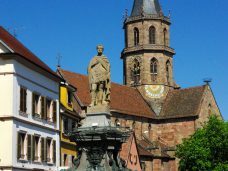 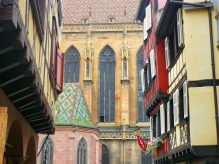 Take a full day to discover Colmar: the historic centre, the Little Venice district and a visit to the rich Fine Arts museum of Unterlinden. 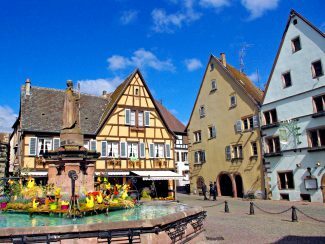 Just outside Colmar lies the village of Eguisheim, another pearl of the Alsace Wine Route. 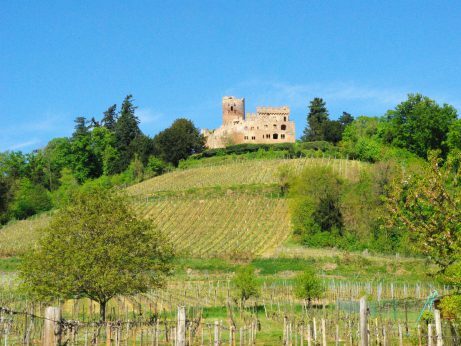 Continue the drive through the vineyards of Husseren-les-Châteaux. 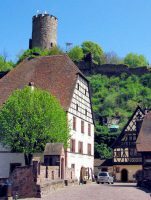 From there you can access the three ruined castles of Eguisheim and the Hohlandsbourg Castle (open from Spring to November). 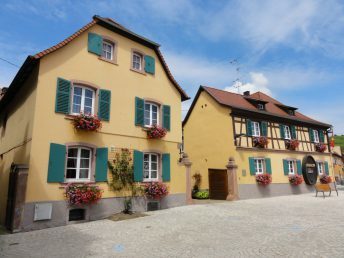 Back among the vineyards, stop at the village of Gueberschwihr. 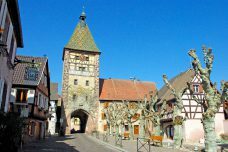 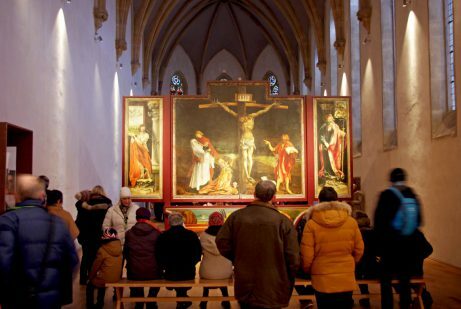 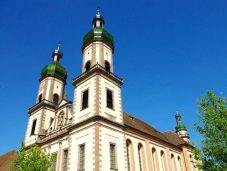 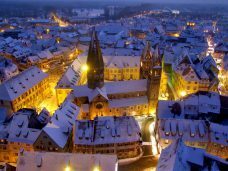 Take the time to visit Rouffach before arriving in Guebwiller. 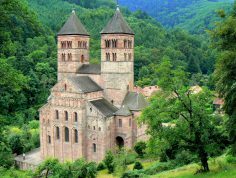 Venture into the Lauch valley to admire the ruins of the Murbach abbey. 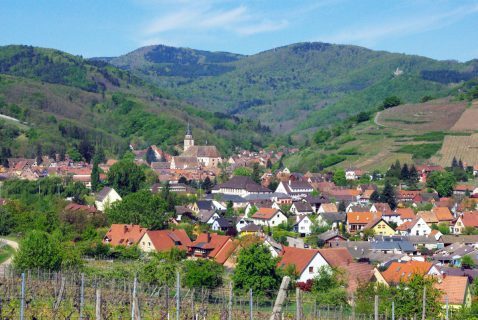 Then come back to the Alsace Wine Route and make a short stop at Soultz-Haut-Rhin. 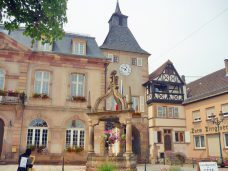 Follow the route southwards to Thann where the Route des Vins officially ends. 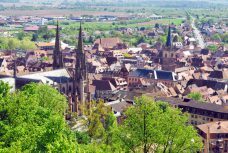 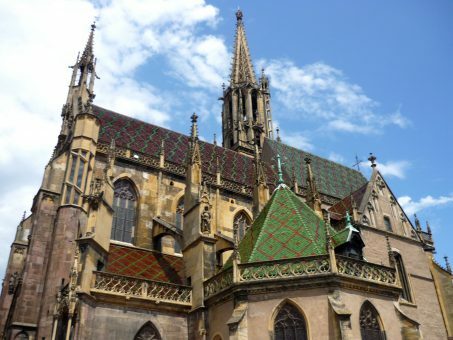 Shortly afterwards you will reach the next major town Mulhouse, where you’ll find a host of museums, hotels and restaurants. 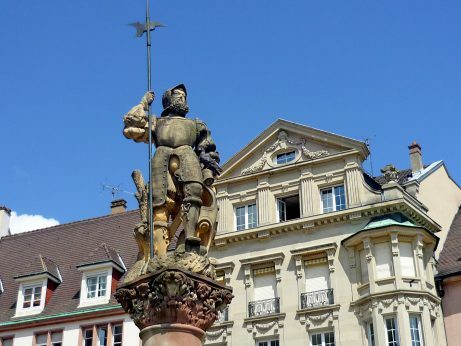 There is a local airport (EuroAirport Basel-Mulhouse) with international connections should you wish to continue your journey by plane. 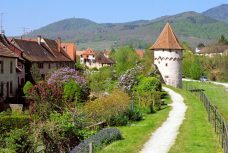 I hope this idea of an Alsace Wine Route Itinerary helps you plan an amazing road trip along the Alsace Wine Route. 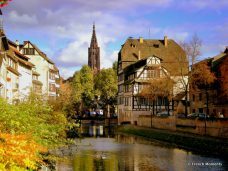 If so, please share it on Facebook or Twitter! 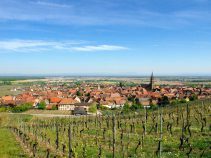 Merci to our partner Wine Paths who we collaborated with to write this article.